Cheer on Mia Zutter at the Paralympic Games! Freshman psychology major Mia Zutter is taking part in the 2018 Winter Paralympic Games, which began on Friday, March 9 in Pyeongchang, South Korea. 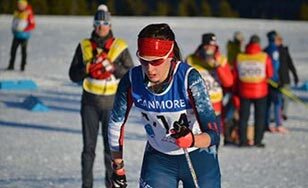 She is a member of the Saints Nordic ski team who is visually impaired and competes with the help of a sighted guide. To learn more about her journey to athletic competition on an international stage, read her inspiring story. Zutter will compete in at least three events, which can be viewed online. Times below are in Central Time. The Games began Friday and run through Sunday, March 18. Click this link to view a replay of the games' opening ceremonies.